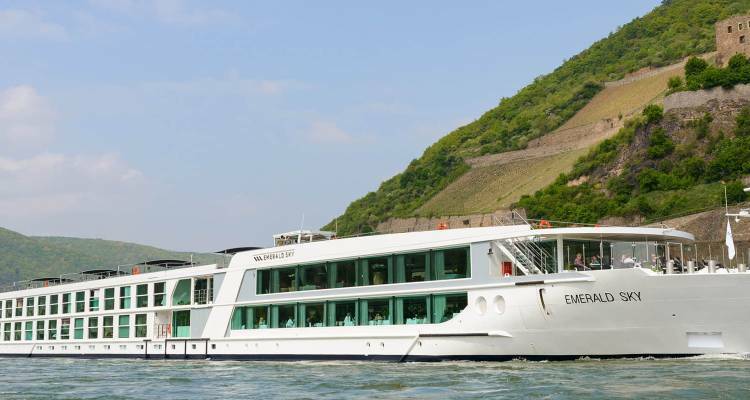 Offering unique river cruising experiences since 2014 on Danube and Rhine to the 182 passengers it can accommodate, Emerald Sky is the perfect setting to relax, unwind and leave your worries behind. Enjoy the elegant decor of the ship, as well as the spectacular amenities and services that will be provided by a dedicated crew. Relax on the outdoor terrace with a glass of the best wines in the area or go for a swim in the heated pool. End your day watching a movie at the evening cinema and then return to the comfort of your own room or, better yet, keep the party going at the Horizon Bar. Emerald Stateroom, Cat. D, E - 162 sq. ft.